Whether the network you use is for personal or business needs, network security is something that should always be taken seriously. In 2016 alone, more than 2 billion records were stolen or breached due to problems with network security. The cost to recover from a network security breach can be astronomical for a small business – a recent survey indicates that it costs SMBs more than $50,000 to recover from a breach in their security. For many small businesses, this may represent a significant portion of their revenues, or be enough to put them out of business. So, taking steps to ensure your network is secure should be a top priority. Wondering what you can do? 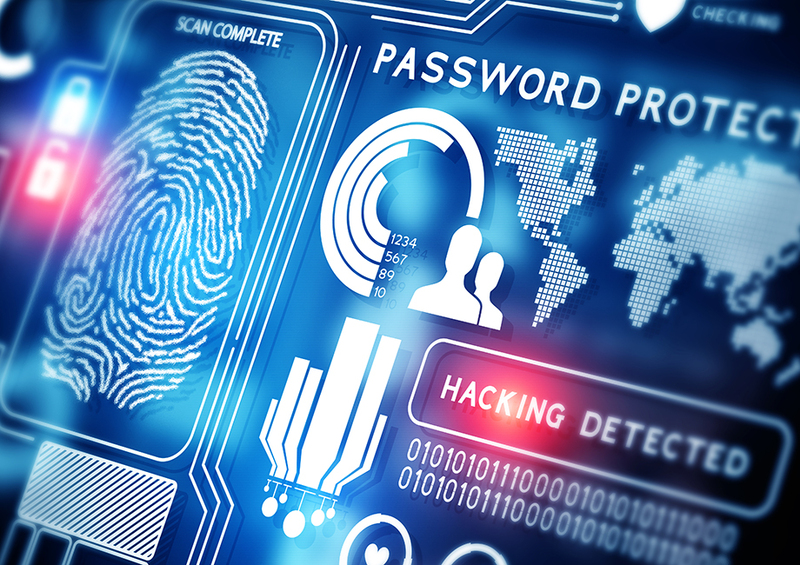 Here are five ways to get started with securing your networks and systems. Secure your business and personal wireless networks. ALWAYS password protect the wireless networks you use in your home and business. Change the name of the router (don’t use the factory pre-set SSID) to something that is personal to you. But don’t use personally identifying information such as your address or name. Other than that, you can call your wireless router just about anything; if you’re the comical type, “CIA Surveillance Van” is always a popular one. It probably doesn’t deter hackers but you’re sure to remember it. Choose the highest security option – Always choose the highest security option available for your network. WPA2 is better than WPA, which is better than WEP. Use a firewall – There’s a difference between antivirus, which prevents you from downloading viruses, and a firewall, which keeps hackers and attackers out of your system. Windows Operating System comes complete with a firewall, but many people forget to turn it on. Ensure it is turned on so that it can protect you from people trying to gain access to your network. Create a guest network – when visitors use your network, it’s best to create a separate network for them. If your wireless router offers this option, take advantage of it. Create a personal hotspot – Public wifi hotspots are unsecured, making your data accessible to anyone else using that network. Instead of using unsecured public networks, create your own secure wireless network using your IPhone or Android device. Be sure to password protect your hotspot to keep your data safe! Whether it’s a home network or one you’re using for business, if you’re like most people you have more devices connected to or using your network than just the odd computer. Mobile devices, game systems, surveillance systems and many others may all be connected to your network or requiring access to it. ALL devices used by you, your family, or your employees should have up-to-date security software installed to ensure that they are not making you vulnerable. As more devices are connected to the internet – from coffeemakers to home controllers and more – device level security must become a high priority to ensure networks remain secure. The more devices on your network, the bigger this job gets to be, so the best scenario is to use a device management application (such as Microsoft’s Device Manager) to make sure each device on your network is secure. Securing your network is a job that requires continuous diligence to guard against threat. Just as hackers are continually looking for new ways to exploit weaknesses in your security, so too are security providers finding new ways to prevent them from doing so. That’s why you must regularly maintain the security tools you are using. Check regularly to ensure that any new security updates are applied as soon as they become available, and regularly back up your system so that if your data is lost, you are able to recover a recent version of it. This is not an exhaustive list of the steps you can take to keep your systems secure, but it covers many of the network security issues that can make you vulnerable. To learn more about network security and to find out how Tolar Systems can help keep your data safe, contact us today.